Those details provided insights into which candidates might be able to raise more money -- and how quickly. 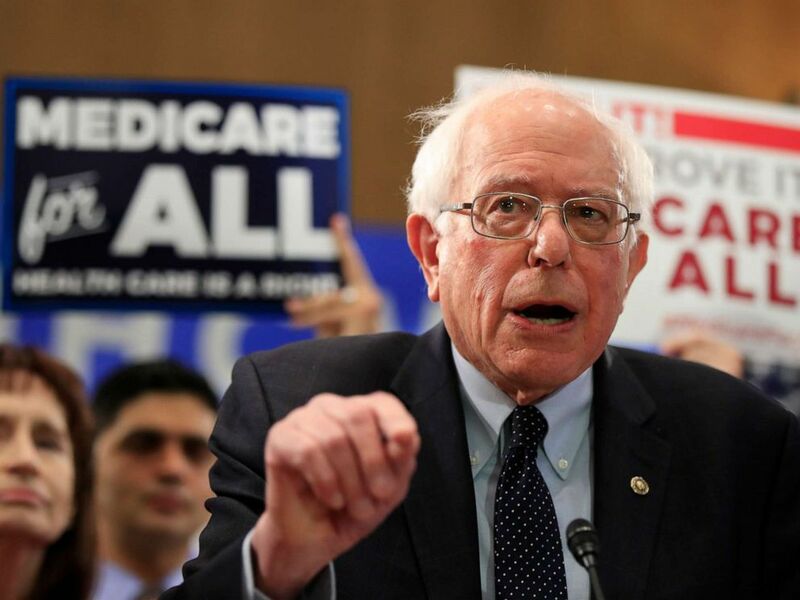 PHOTO:Sen. Bernie Sanders, I-Vt., introduces the Medicare for All Act of 2019, on Capitol Hill, April 10, 2019. For example, Sen. Bernie Sanders not only raised the most money compared to the others already in the race early this year, but the more meaningful number for his team was, perhaps, 84%. That's the percentage of his total haul that came from small donations of $200 or less, meaning a whole lot of people who gave to the senator could give again and again and again. 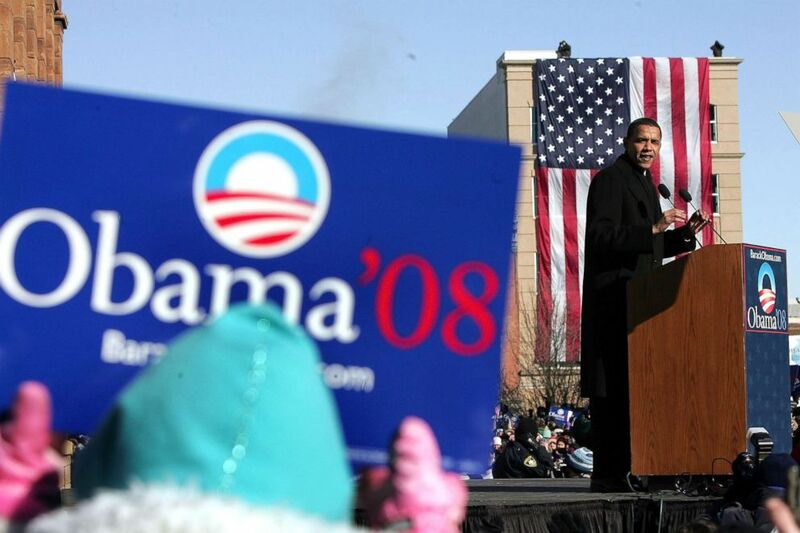 Senator Barack Obama (D-IL) speaks to a crowd gathered on the lawn of the old State Capital Building, Feb. 10, 2007, in Springfield, Ill. Obama announced to the crowd that he would seek the Democratic nomination for President. Amid that uncertainty is the worry from some Democratic donors that they're not seeing the same level of enthusiasm they did the last time the party saw a competitive primary, when in 2007 then Sens. Barack Obama and Hillary Clinton each raked in over $25 million in the first quarter of the year. Biden's extended hold out may be freezing donors in place. That's a chilling thought to many in the party considering the over $30 million Trump's re-election campaign raised in the first quarter and the over $80 million he and the Republican National Committee already have for the long fight ahead. In the current field of 18 Democratic presidential hopefuls, it's normal for the vast majority to sit below a smaller group of front-runners. But raising eyebrows in recent days -- as first-quarter fundraising reports become public and polling has picked up -- are the relatively major names struggling to catch on, such as former Housing and Urban Development Secretary Julian Castro and Sens. Cory Booker and Kirsten Gillibrand. 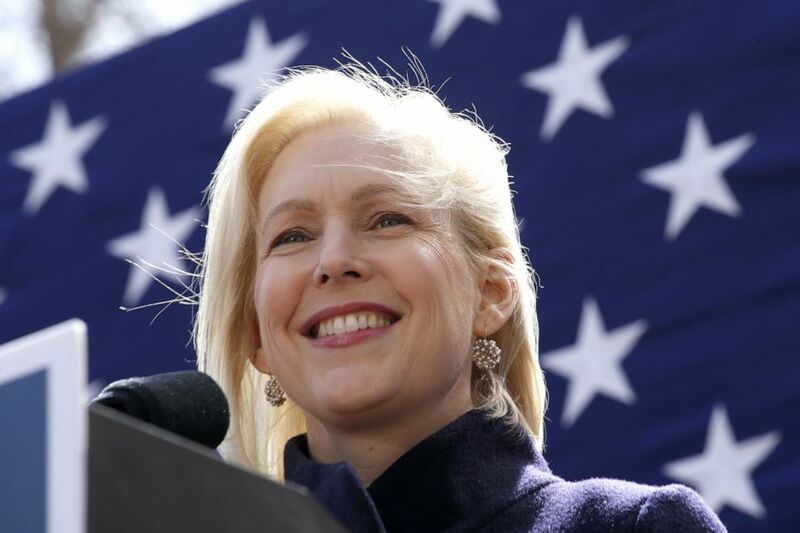 Democratic presidential candidate U.S. Sen. Kirsten Gillibrand speaks during a rally in front of Trump International Hotel & Tower, March 24, 2019, in New York. Buttigieg's vault to the front of the race is evidence that breakouts are still possible, but in past cycles, they've almost always been sparked by something like a televised town hall or a splashy policy proposal. It's true that outside of Biden and Sanders, name recognition among the candidates is low this year, but political observers know enough about Booker, Castro and Gillibrand that any surge won't be as sudden as Mayor Pete's recent South Bend bump. But what else do all of those primary stars have in common? None came close to capturing their party's nomination. President Donald Trump hosts an "Opportunity Zone" conference with state, local and tribal leaders at 2 p.m. Opportunity zones were created as part of the 2017 Tax Cuts and Jobs Act with the goal of spurring investment in economically distressed areas. Sen. Cory Booker, D-N.J., travels to Atlanta to discuss with voters protecting the right to vote and defending access to reproductive health care. Mayor Pete Buttigieg of South Bend, Indiana, continues stumping in Iowa, with stops in Marshalltown and Des Moines. Hawaii Congresswoman Tulsi Gabbard also travels across Iowa to meet with voters in Fairfield, Mount Pleasant, Fort Madison and Burlington. Sen. Kirsten Gillibrand, D-N.Y., tours flood damage across southwest Iowa in Pacific Junction at 11 a.m. local time, and holds two events in Des Moines starting at 4 p.m.
Sen. Amy Klobuchar, D-Minn., makes her first trip to Tennessee, to meet with local leaders to and voters in Nashville. Former Texas Congressman Beto O'Rourke continues his swing through Virginia, with stops in Fredericksburg, Dumfries and Alexandria. Sen. Elizabeth Warren, D-Mass., finishes a three-state tour in Utah with an organizing event in Salt Lake City at 6 p.m. Mountain time. Download the ABC News app and select "The Note" as an item of interest to get it every weekday.